Historians deal with periods of time. Since these are generally longer than a few hours, they can or have to be measured in days, days which make up weeks, months, years and sometimes centuries. Nonetheless, when it comes to recording key events (births, marriages, deaths, battles, treaties), historians, like the rest of us, tend to think of them as happening on specific days. D-Day. Independence Day. Days are what we attach meaning to. Days are where we live. How can you distinguish and separate out all the days which make up all of human history? How can you convey the passage of time, the passage of days, how can you make it more than a colourless recitation of numbers and dates? Take the American War of Independence. There is debate both about when the war both started and when it ended. 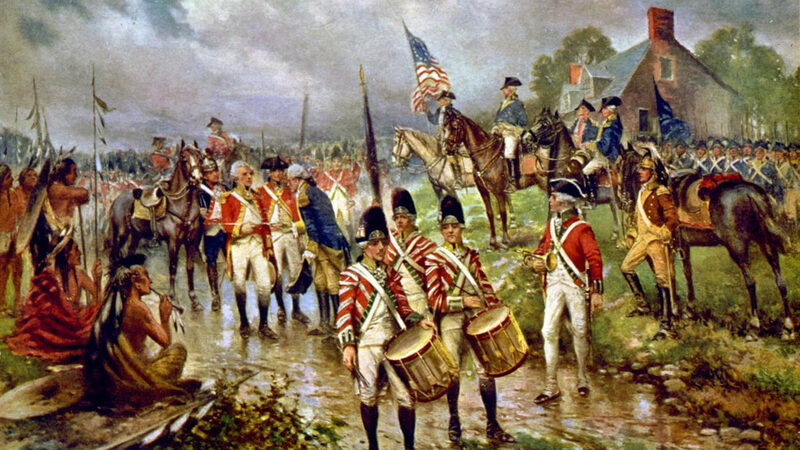 The consensus view is that hostilities began on April 19, 1775, when British regular forces tried to arrest rebel leaders in the Massachusetts villages of Concord and Lexington. 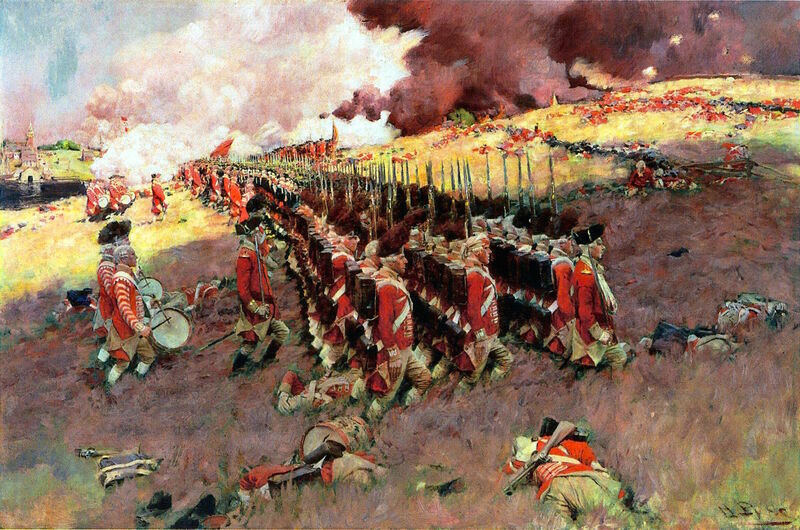 This sparked skirmishes with Patriot militiamen, which escalated into a running battle as the British soldiers were forced to retreat back to their stronghold in Boston. And, officially, the war ended with the Treaty of Paris, signed on September 3, 1783 – although after the British lost the siege of Yorktown in October of 1781 they decided not to continue hostilities and there was no full scale fighting after that date. 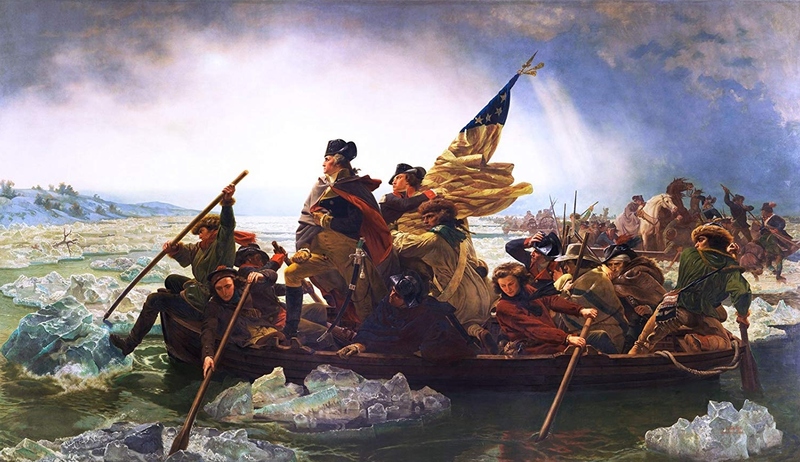 So, officially, the American War of Independence lasted about eight years and five months, ‘one hundred and four blood-drenched months’ – some 3,000 days to demarcate and distinguish. How do you make the key ones stand out? A little way into John Ferling’s long and minutely-detailed military history of the American War of Independence, I began to notice how much attention he pays to the weather and to the quality of important days. Much of Ferling’s content is as dry and factual as any other historian’s, but he consistently slips in little descriptive phrases designed to convey the specificity of important days. He is particularly fond of the crepuscular hours – of dawn or nightfall – the hours when the world seems more pregnant with meaning and possibility than usual. Ferling’s descriptions are like paintings, aren’t they, although paintings from a later era. Ferling brings an essentially romantic sensibility to what was still a pre-Romantic, eighteenth century world. Ferling is careful to give a pen portrait of each of the many military leaders who appear in these pages, the generals and brigadiers and colonels on both sides. We are told the biography and character of scores of leading military men. But it is to the weather, the light and the mood of key days, that he pays particular attention. Sometimes his description of the light is more persuasive than his description of the people. Ferling includes some 40 paintings and illustrations in the book. When I came to analyse them I realised that only four are illustrations of actual battles – a few are technical pictures of contemporary ships, but the great majority, over 30, are portraits of the many military men and political leaders on both sides – emphasising the care he takes to give portraits of all the key military leaders. But then I noticed that, whereas the military portraits are all contemporary i.e. drawn or painted from life in the 1770s and 1780s, the battle pictures are from over a century later, painted at the height of late-Victorian realism (1898, 1903, 1898), in the style of boys’ adventure stories — almost as if the history had to wait for a sufficiently ‘manly’ painting style to develop to depict the tough heroism of those days. Or as if only paintings in the late-Victorian style can match Ferling’s own romantic feel for the weather, for the mood, for the changing light, for the fogs and blazing sunshine, for the first dawns and the quick-falling nights with which his enthralling account is laced. Ferling has a stylish, highly descriptive, and memorable way with the days of the American War of Independence.